Hindsight Review: So, What Happened with Power Rangers (Super) Megaforce? No, Seriously. What Happened? It’s a good thing I’m writing this Hindsight Review after watching the extended version of the Super Megaforce finale because it honestly left me with some positive feelings. If I started writing this after Saturday’s airing of the original finale cut or last week in anticipation of the US premiere or even last month after the final episodes aired internationally, I might have been a lot more negative and pissy. So hand it to some passable editing of Gokaiger footage and Melody Perkins as Karone saying she loves being a Power Ranger (complete with Astronema overlay) that I’ll actually be more less disappointed or upset. At the end of Power Rangers (Super) Samurai, I expressed my disappointment in the two years that had gone by and a hope that the next two years would see some improvement. I otherwise had no expectations for Megaforce for fear that I would once again be disappointed with the result. Not having any expectations pretty much tempered the disappointment I should be feeling with the season. But Megaforce really did fail in several ways. First, it definitely failed as an anniversary season. With all the hype it got from Saban Brands themselves, it had to have been a HUGE letdown for many fans. For me, it went pretty much as I expected. But second, and maybe even worse, was that it failed basic storytelling. On its own, the season felt absolutely hollow. And I think that is its worst offense. And that is where Samurai, for all its flaws, is better than Megaforce. Samurai, with the benefit of directly translating Samurai Sentai Shinkenger‘s story, actually HAD a story. And it was a story that fully developed over 40 episodes. Megaforce has almost zero story or plot which in turn rendered any pretty action scenes and the sincerely high stakes finale hollow and empty. What does it say about the season (and like Samurai, I consider Megaforce and Super Megaforce one season) when its best and most enjoyable episodes were three “fillers” or episodes that were standalone and had provided no forward movement to the overall story (which barely existed to begin with). These three episodes introduced no new zords or powers, yet they were the most enjoyable and fun episodes of the season. We saw great writing, great production and directing and the cast getting to loosen up with actually solid performances. Even with the lack of story, the inconsistencies brought about by the lack of effort in adapting the Japanese scripts and footage as well as the poor dialogue given to what otherwise seems like a talented group of actors really makes Megaforce one of, if not the weakest Power Rangers season yet. Megaforce may have been hindered by needing to adapt not one, but two Sentai seasons. Both Tensou Sentai Goseiger and the real anniversary season Kaizoku Sentai Gokaiger couldn’t have been any more different from each other, yet Megaforce needed to combine footage from both seasons to create one cohesive story. There are definitely a lot of “What ifs?” with Megaforce. What if Nickelodeon didn’t force the 20 episode-a-year format? What if Megaforce invited alums back for in-season tribute episodes like Gokaiger? What if Saban Brands allocated their budget better to have more in-season cameos? What if they didn’t try to turn the show into Mighty Morphin 2014? What if they actually had a fresh theme song? What if they actually gave lines to the veterans they invited back? What if Disney had handled the 20th Anniversary season? What if the Megaforce Rangers actually had character development? What if Megaforce actually had story development? But looking at the product we did get, it just failed for longtime fans and it failed for the much-talked about target demo. The extended cut of the finale definitely felt more like the traditional Power Rangers finale, with big zord battles and big fights with the main villain. And the few extra seconds we got of the vets felt much more fulfilling than the original cut did. Most especially Karone’s added line of “I love being a Power Ranger” and Astronema overlay which should have been the kind of tribute/shoutout/callback the season should have had more of. The Legendary Battle was not much of a battle at all. Many a Power Rangers season have had much more exciting final battles than that. Even while the Armada invasion was presented well and in very exciting sequences, it just had no meaning. It’s hard to fully get lost in the moment when the supposed drama and excitement means nothing and is simply hollow. And as an anniversary season, the lack of any anniversary celebration other than the existing Gokaiger footage really should leave a bad taste in many a fan’s mouth. Should we even talk about the hilarious New Powers Rangers? Why bother? The show certainly didn’t bother to explain them or integrate them in a better way than they did. Many fans celebrated Saban Brands resurrecting the franchise after Disney dropped it. And it’s done some good since acquiring Power Rangers. The show looks amazing in HD. And Nickelodeon really is the perfect, if not the only network to help the franchise reach as wide an audience as possible. But there are still plenty of things that need fixing and should be fixed. Not only as a service to longtime fans. But more importantly, to help bring Power Ranges into the 21st century for 21st century children. Both Samurai and Megaforce were written in a style that just does not fly with today’s kids like it did when many of us were in the “target demo” in the early 90s. Kids have so many other and better options when it comes to good children’s programming. Especially in action-adventure-type shows. There is no reason why Power Rangers should keep living like it is 1993. 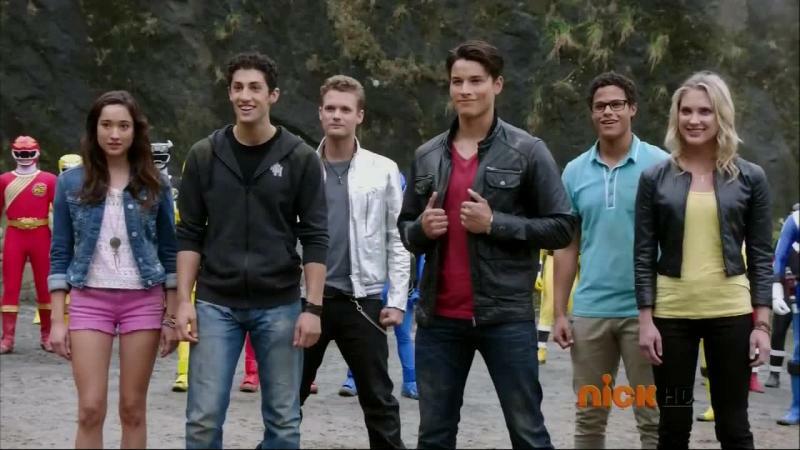 Dino Charge, the next season, looks promising, especially with the return of Judd Lynn. But again, I do not want to hype myself up and raise my expectations only to get screwed once again. Do I hope Power Rangers improves from these last four years and returns to being great, fun television? Of course. Do I expect it to? Not necessarily. But as Megaforce showed us, if you forget even the simplest rules of storytelling (the most important of which is Actually having a story to begin with), past Ranger cameos or tributes and action-packed season finales won’t make everything better or forgive any glaring mistakes. It really was a very disappointing and sad “anniversary” season. The New Power’s , the pirate theme , why Gosei is a complete moron and so on ; these are the unanswered questions that Saban and Nickelodeon will never answer , amongst others . Nickelodeon is helping Saban at ruining Power Rangers . Cartoon Network and the writer’s for their shows like Justice League Unlimited and Ben 10 Ultimate Alien can do a better job than those morons , possibly even allow the series to have 30+ episodes again. Nickelodeon and the other Viacom channels should be shut down for good after they pulled this crud ; & Saban so far is no better either , that 90s junkie.